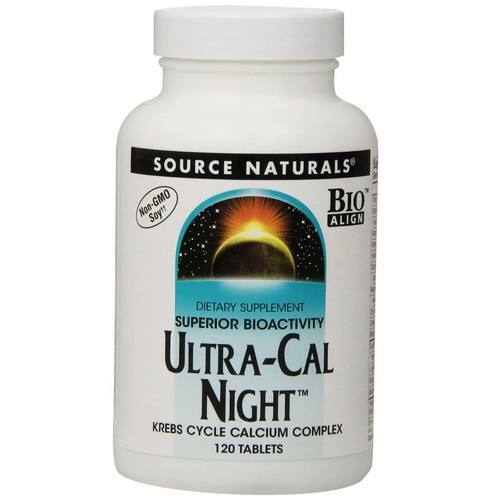 Ultra Cal Night by Source Naturals provides 72 mg of Vitamin C in the form of magnesium & calcium ascorbates, ascorbic acid and manganese ascorbate. 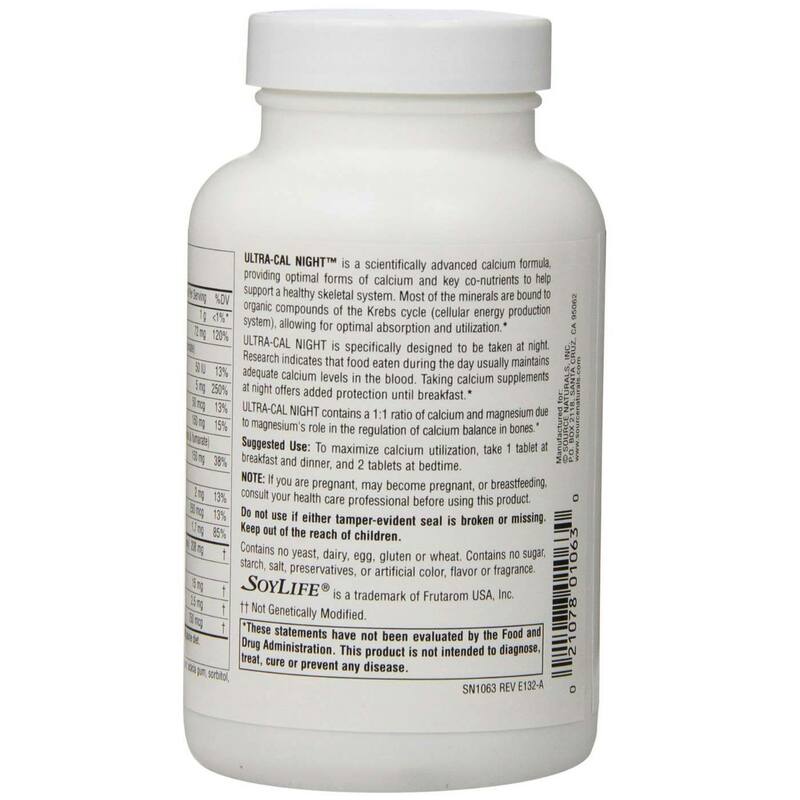 Advertências: If you are pregnant, may become pregnant, or are breastfeeding, consult your health care professional before using this product. 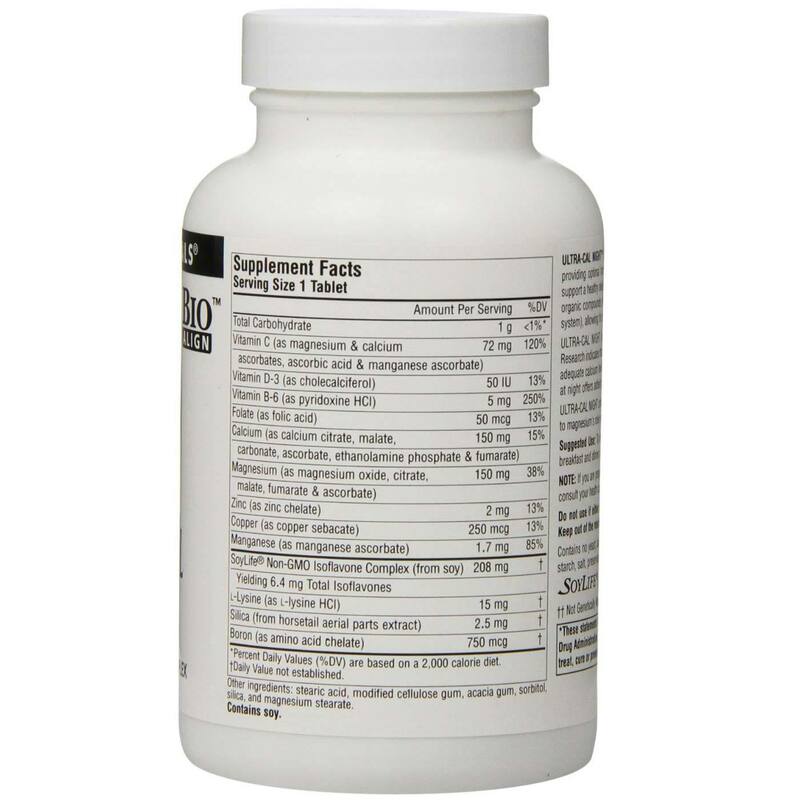 Notas: Free of yeast, dairy, egg, sugar, starch, preservatives, or artificial color, flavor, or fragrance. 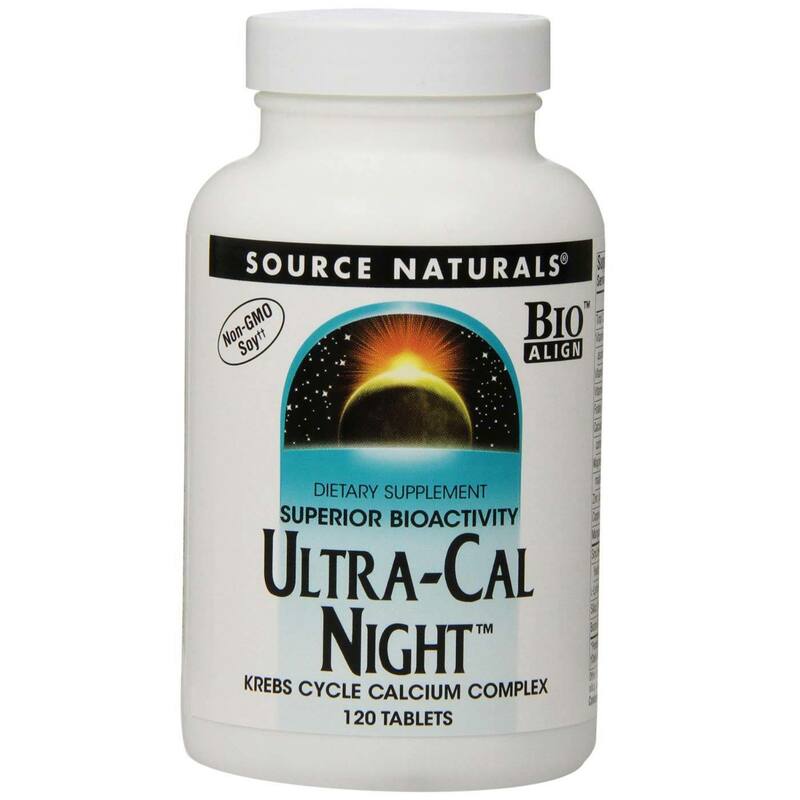 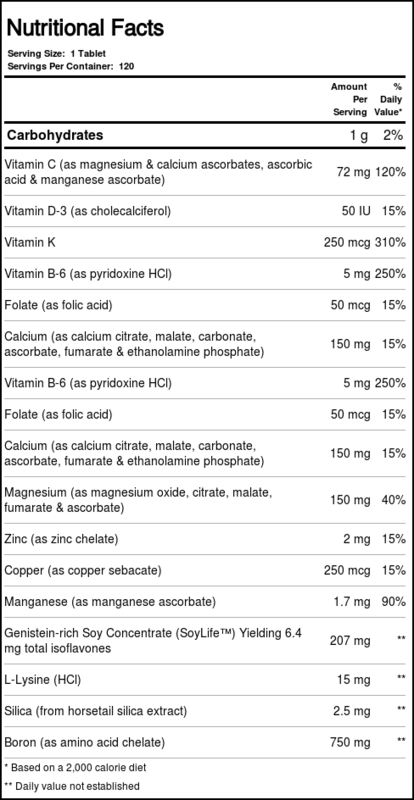 Recomendações de uso: To maximize calcium utilization, take 1 tablet at breakfast and dinner, and 2 tablets at bedtime.